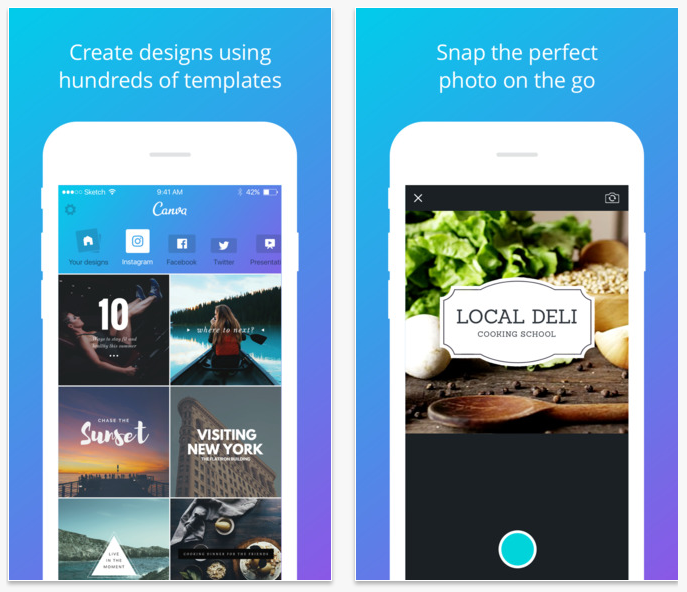 What Is Canva for iPhone? However, Canva is a little different as it includes more social media templates, the ability to sync between different devices, adding multiple pages (very useful for making a leaflet or bulletin), and what I would consider more professional layouts. 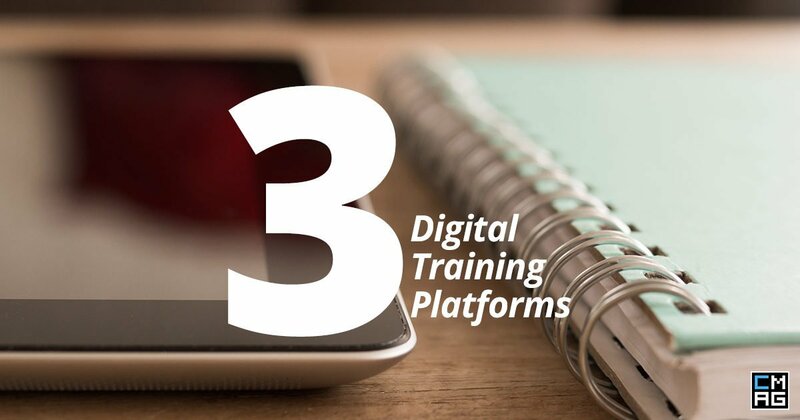 Canva stands out as a more professional design tool. It isn’t limited to a grid or single image, instead you can add multiple objects and shapes or use a standard template that looks professional. 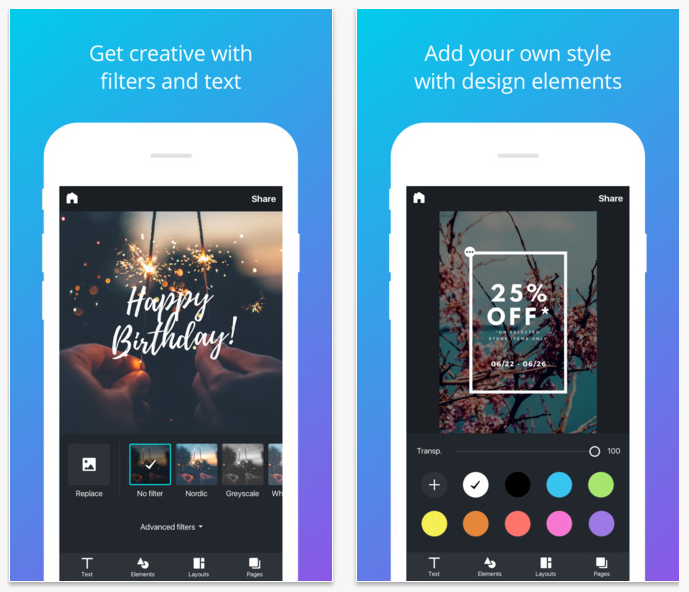 Canva also has the option to use premium icons and buy stock photos from within the app, helping to create the exact design you want. One aspect that actually really surprised me was how clean the design is on the iPhone app. The menu at the top is my own personal preference over the iPad and web app. The share option also works a lot better than the iPad app, making it a lot easier to share images from Canva to a blog or social media site. Canva for the iPhone, however, isn’t perfect. It doesn’t include all the features that its web and iPad counter parts include. For example, the magic resize and a few other Canva for work features aren’t present on the iPhone (which is true of the iPad as well). The size of the iPhone and interface can also make using Canva tricky on a small phone screen. Searching for different shapes and elements is a bit more difficult on the iPhone as you can’t narrow down your search as you can with the web and iPad app. This is actually a general issue with the Canva offerings which they could really do with improving. By offering a few filters, it would help speed up searching. My assumption is that they want to push people towards their premium in app purchases which is how they fund the service. Finally, the iPhone doesn’t allow for custom image sizes meaning you are limited to the standard Twitter/Facebook/Instagram and other offerings. The custom size option is a great advantage of Canva over some of its alternatives. Over offers a wide range of options for your custom designs, many of which need to be unlocked by an in-app purchase. It also works on an iPad and iPhone as well as having an Android app. However, there is no web app. Over doesn’t offer the templates that you can get from Canva, so you may need a bit more design know how to get them right. WordSwag is a great app to use to make a quote graphic to share on Twitter or Facebook. The ability to search for free images to use (or use your own) and the way it can turn your text into neatly arrange graphics in a variety of styles really make it a great choice for someone who knows nothing about design. However, it doesn’t feature any of the customization, illustrations, or additional elements of over and Canva. As such, it won’t help you make your leaflets or PowerPoint slides. Canva for the iPhone is a useful additional tool to help you create graphics that people want to share. It is simple to use and features many of the important features of Canva on the desktop. If you find Canva on the web or iPad useful, then you should definitely check out Canva on the iPhone. It doesn’t have all the features of Canva, but hopefully it will continue to develop in the future. Canva for iPhone supports the iPhone (with also an iPad version and web version). 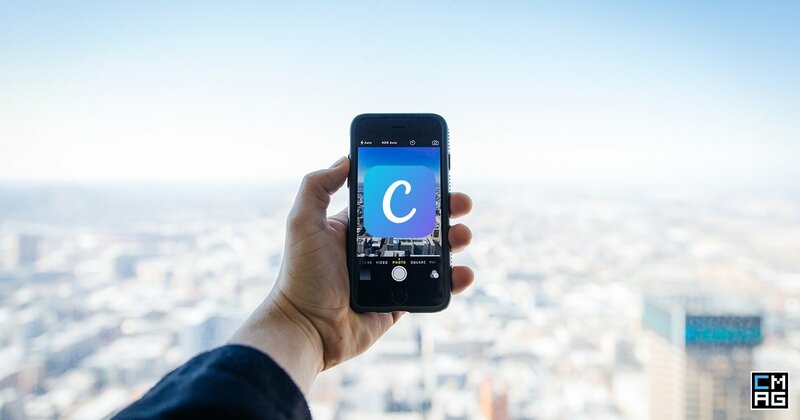 You can find Canva for iOS here.